"I'm telling you something isn't right..." whined the rogue. "Shut it Tanlyn. And keep your mind on the quest before us. 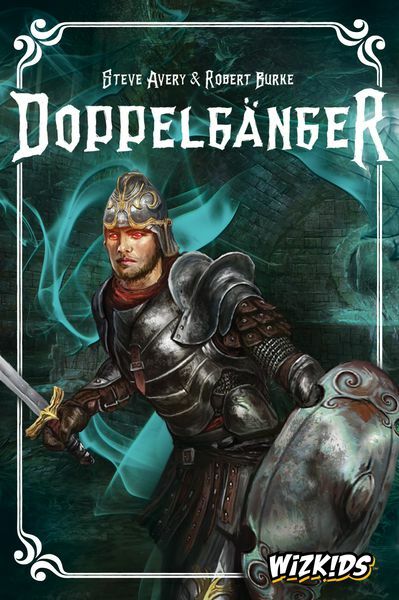 No more talk of 'seeing a doppelgänger.'" Bogrim the barbarian readied his great sword for the encounter ahead as the rest of the party drew close. "This will not end well." Tanlyn replied. She kept her hand resting on the familiar weight of her dagger's pommel. Someone here was a traitor... if only she knew who. Each round, the players confront a new Quest that requires teamwork, and a rotating Party Leader selects which adventurers go on that Quest. Every player selected contributes one Item card to a common pool, and other items are added randomly from the draw pile. These cards can be helpful, non-helpful, or even harmful. The Party Leader distributes one card to each party member, and the Quest commences, with each player taking a turn using the item they were given, if able. 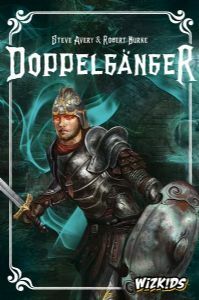 To use the items given, each player uses dice that are secretly pulled and rolled, but beware, doppelgängers may choose to roll cursed dice! If the party succeeds, the Party Leader may search for an Artifact of Light. Find three of these, and the loyal adventurers win the game. However, if a Quest fails, an Artifact of Darkness may be found, and if three are uncovered, the doppelgängers win. Players must also take care to watch their health, because if any player dies, the game ends, and the dead player's loyalty determines the winners and losers.